After discovering the face of their true enemy—someone who is related to Akito and responsible for the Geass placed upon him—W-0 attempts to return to their base at Castle Weisswolf. However, stranded in Warsaw due to a complication involving their military identification, they are forced to accept the help of local gypsies, allowing the squad to take some time to deepen their bonds. 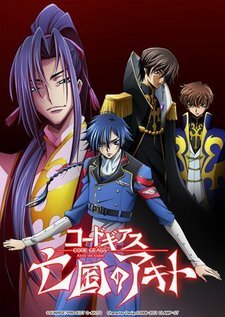 Meanwhile, Britannian advisor Julius Kingsley and his guard Suzaku Kururugi begin working together with the Knights of St. Michael in order to crush the European resistance once and for all, armed with the destructive power of a giant weapon known as the Ark Fleet.